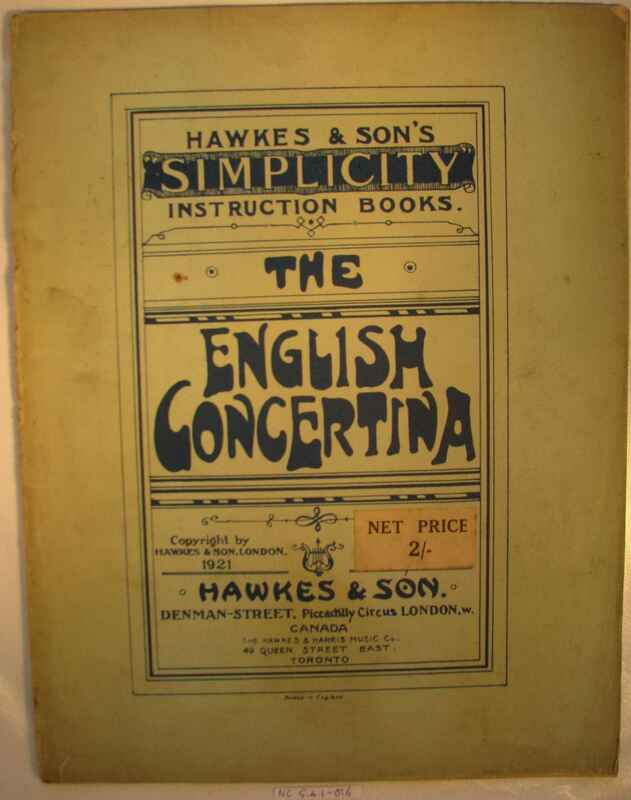 Full Description: ‘English’ Concertina Tutor: Two early editions of “Hawkes & Son’s Simplicity Instruction Books – The English Concertina”, Hawkes & Son, Denman Street, Piccadilly Circus. Print Number 5156, and each priced 2/-. 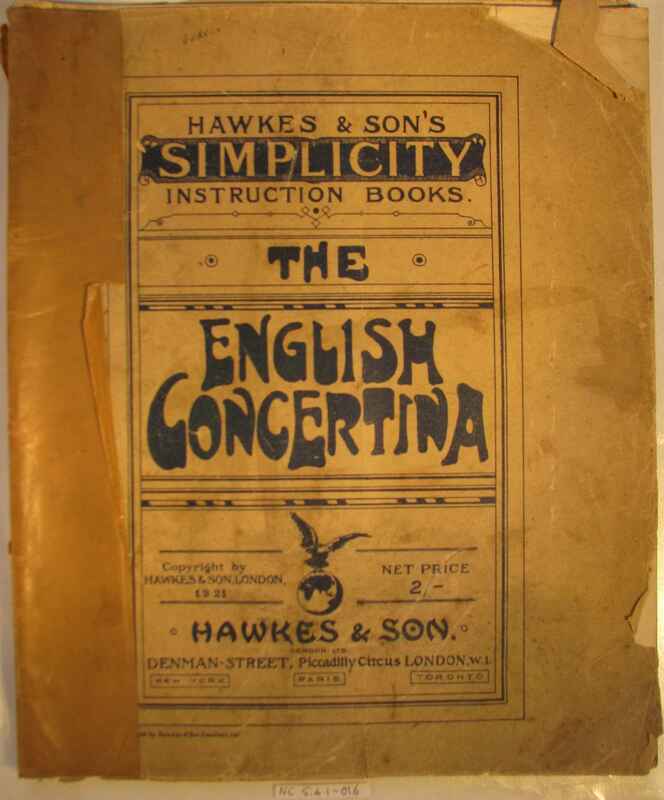 The covers have slightly different layouts, and one has a Canadian address for “The Hawkes & Harris Music Co”. A later Edition, with new cover design and priced 3/-, is at Item NC.5.4.1-015 .